We head to the theatre each Christmas without fail. It's honestly one of our favourite times of year, with a fantastic range of shows on from west end hits to small local productions. Every year we tend to head to the Lighthouse at Poole to watch their family friendly studio show. There's been some amazing shows in the past and it always blows us away with creativity and engagement. This year was Stuff and Nonsense Theatre Company's retelling Three Little Pigs and we couldn't wait! 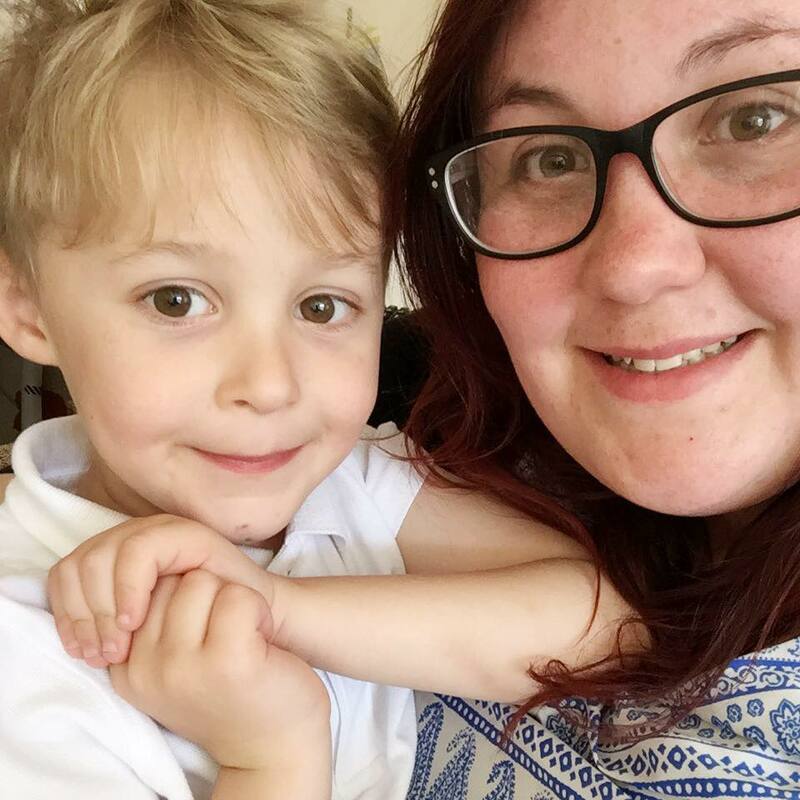 Max has been engrossed in the tale of the Three Little Pigs, mainly due to the fact that they have been studying it as part of their topic at school this year. So we were both really excited to see how the pigs would get on in this show in the Sherling Studio at the Lighthouse. 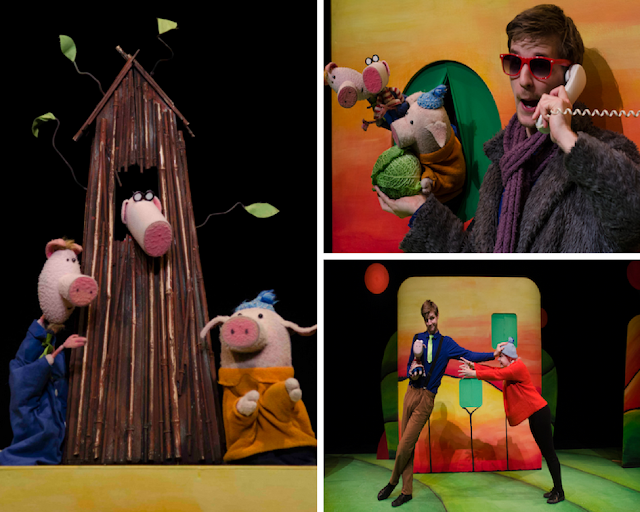 As with all family performances in the studio, the Three Little Pigs is aimed from tots to parents, so is the perfect introduction to the theatre. Not only that, but at just under an hour long, the show keeps the captivated throughout. This retelling of the story is introduced by our two storytellers, Peter and Katie who personify everyone from the pigs to the big bad wolf. With some clever set and even cleverer puppets, this show is definitely one of the most adorable we have seen! I honestly loved the way that the actors portrayed all of the characters, with jokes that amused the parents as well as the children. There's tonnes of audience participation that keep the kids shouting along with the story and dancing at the end of the show. The puppets were just magical and I loved the innovative way that they used them to tell the story and the creations of the little houses that the pigs make. The puppetry was amazing and I'm still baffled as to how it was so detailed and felt so real. Max was captivated each time the little puppets took to the top of the staging and I wanted to take Tiny Pig home with me he was that cute! The show itself was phenomenal. The Lighthouse have a way of booking shows that really transport you to another world and keep you engrossed and Three Little Pigs was no exception. I didn't see one child in the audience that wasn't fully immersed in the show. It's definitely one to add to your festive calendar as you will have a fantastic time! Three Little Pigs is running daily until the 24th December and is perfect for all the family to enjoy.